Welcome to Lets Be Spooked... Bringing you the best paranormal events from a wide variety of companies around the UK. Book a ghost hunt, ghost walk, overnight investigation, psychic supper, weekend away or even a medium via our website. Paranormal events have become so popular since the launch of Most Haunted, companies that advertise on our website will ensure that you have an paranormal experience that you will never forget! Visit the famous towers, not many groups have had the chance to investigate this fantastic venue. If you're a ghost tour company, medium or an organizer looking for great value advertising that works you are in the right place, we have over 4000 members and a massive web presence, adverting from only � per month. Soon we will have our forum back online for everyone to discuss previous events or personal experiences with the paranormal. Whether you believe in the paranormal or whether you are a skeptic; our resource and archives contain quality information, first hand accounts, scientific explanations and real views. 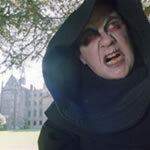 UK interest has rapidly grown over the years and Lets Be Spooked has grown accordingly. A unique observation was made over the years. The UK community held excellent diversity regards to many issues. The backbone of the UK paranormal community consists of the clubs, groups, societies and individuals who dedicate their time investigating and documenting ghostly activity. We acknowledge that there is a variance in expertise and also the lack of real networking between investigators around the country. Our solution is simple. The provision of an ultimate resource where groups, ghost clubs, societies, enthusiasts, believers and skeptics can refer to for every aspect of the paranormal. Professional ghost hunts, walks and weekends form a good basis to network. Our advertising options are the most effective way to promote an event. All ghost hunts, walks and weekends displayed on our website are subject to the rules and regulations of the advertiser. Please refer directly to them in the first instance for information about the event. However we are more than happy to assist you with queries that we can directly pass on. We are on hand to listen to the community and feel free to contact us about any paranormal related matter and we will do our best to get back to you quickly.